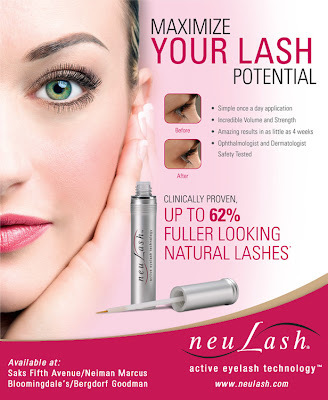 To kick off the new Facebook fan page, neuLash, the luxury department store lash conditioner, will launch the first contest on August 16th, “what lengths have you gone to to lengthen your lashes?” Users can visit the Facebook page to share their story and one lucky winner will be selected at random to win a tube of neuLash at the end of the contest (retail value: $150). Each month, Facebook users will have chances to win neuLash products by participating in the interactive contests. A neuveauBrow contest will also be announced at a later date. Award-winning neuLash is available at the nation’s top department stores including Saks Fifth Avenue , Neiman Marcus, Bloomingdale’s and Bergdorf Goodman, making it the most luxurious brand of lash conditioner on the market today. neuveauBrow is now launching exclusively at Saks Fifth Avenue stores nationwide.